How Does Solar Power Work and What You Need to Know About It? Solar power is a superior form of energy generation allowing you to turn sunlight into electricity to power your devices, lights, and even appliances and heating system. Depending on the size of your solar panel system, you can generate up to dozens of kilowatts of energy just by living in an area with lots of sunlight. More and more homeowners are using solar power these days. But what’s so special about it? And more importantly, how does it work? 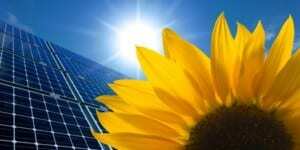 Solar power uses various devices that can transform sunlight into electrical energy. This can be done either directly through photovoltaics (PV) which is the typical way solar power works for powering homes, or indirectly through concentrated solar power. Photovoltaics uses solar panels, each composed of individual solar cells that are responsible for the conversion process. The cells are designed to convert a much larger percentage of solar energy today than it was possible a few decades ago, when the technology first started being used commercially. While solar panel technology used to be reserved only for small and medium size power generation applications, often combined with wind power or geothermal energy, today the technology has come a long way, and there are plenty of solar panel arrays and large systems that can power entire cities. Respected Denver roofing companies will be happy to share their knowledge with you to determine if solar panels are a viable option for your home and budget.